There is something about traveling that I love and that’s the unexpected. Obviously, you are aiming at some kind of destination when you are driving somewhere but there is no telling what you will run into along the way. Sometimes, you are pleasantly surprised and other times, well, we just don’t need to discuss those. On our way to Ennis, we drove by a huge sunflower field. Well, two of them actually. On our way back home, we took an alternate route and as luck would have it, we drove by even more. So beautiful! This entry was posted in Attractions, Garden, Texas on June 8, 2012 by Diana. 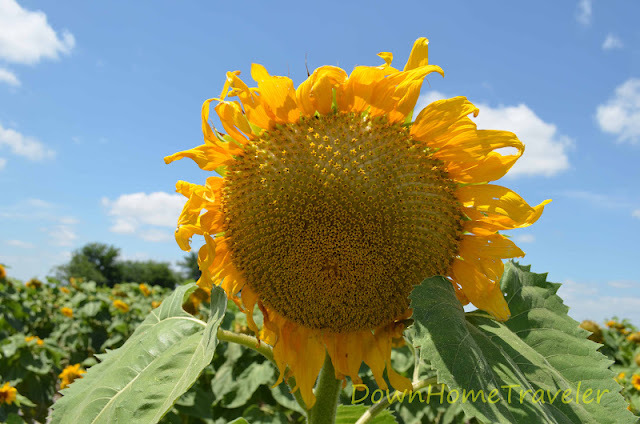 Hi…Can you please let me know where exactly you saw both the sunflower fields. I am planning to visit enis this weekend. Would love to visit the sunflower fields. Please email me where this is located.